Please note that this current website does not have a shopping cart. 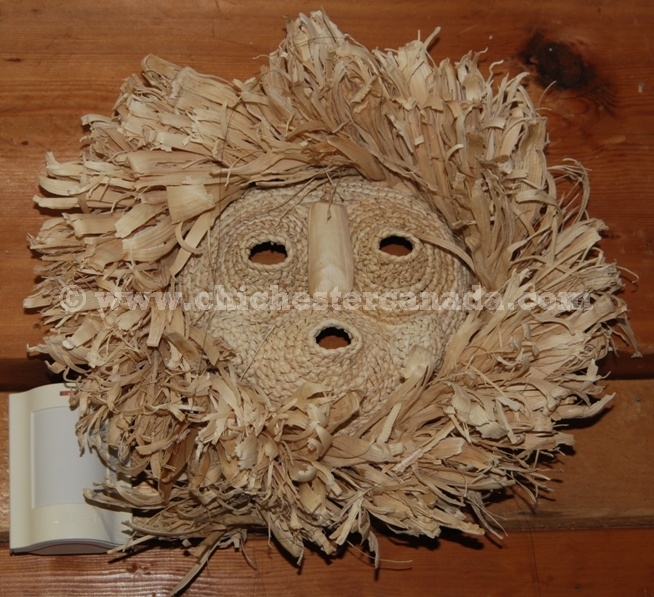 To buy our Native Masks online, please go to our e-commerce website at NaturalExotics.ca. 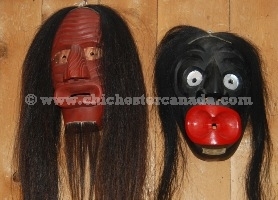 The Iroquois False Face Masks are carved from wood. Some artists, like Gene Thomas, use white pine to carve their masks, while others use basswood. 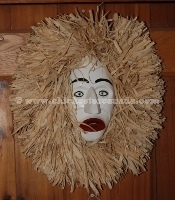 The masks have real horse tail hair and eyes made of tin. 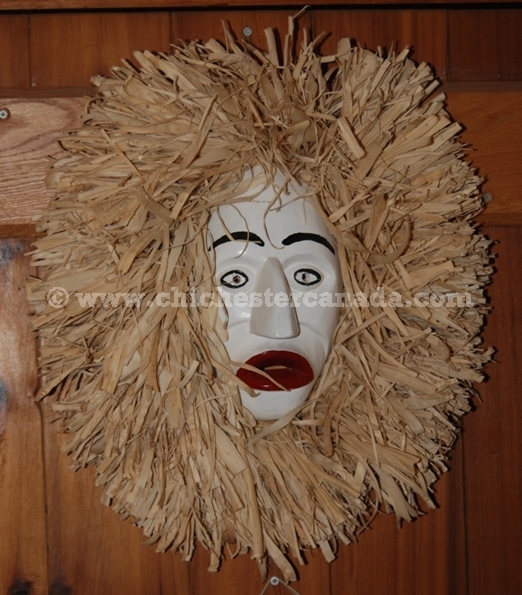 Smaller than the traditional False Face masks, these Iroquois False Face Guardian Masks are hand-carved from wood with deerhide leather ties for the hair and a loop for hanging at the top. They measure about 8 cm long (3") and are 5 to 6 cm wide (2"-2.5"). They weigh approximately 25 grams. They may or may not come signed by the artist. Note that our selection keeps changing. The pictures above are for reference only. You will get a similar mask to those above, but if you would like a specific one, please let us know. Horse and Deer are not subject to CITES. There is some controversy over the display and sale of Iroquois False Face Masks. For more information on this, please click HERE.